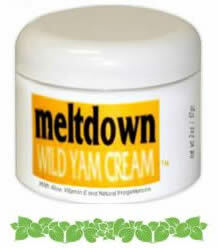 Meltdown Wild Yam Cream is a sponsor of the Chefs for Kids 5 K Run and Walk on 22 January 2011 in Las Vegas. Chefs for Kids is a 501(c)3 charity. Local chefs provide a free, hot breakfast to elementary school children at Las Vegas’s highest at-risk schools once a month. The race is a fund raiser for the charity. Meltdown is contributing $10 of every purchase at the event to Chefs for Kids.